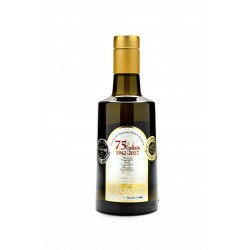 Special edition commemorating the 75th anniversary of the oil mill Clemen Oils. 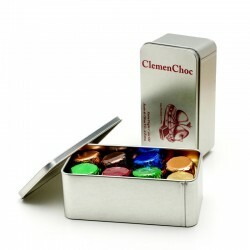 Box with 4 chocolates filles with flavored Extra Virgin Olive Oil. Our story beings in 1942, when our grandfather acquired and started up the current oil mill, dedicating himself to produce a quality Virgin Olive Oil. 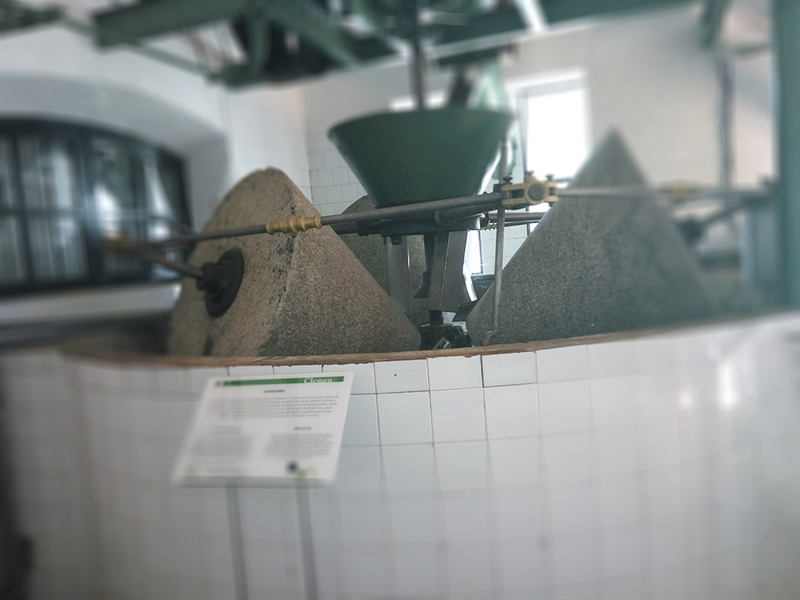 Presently the mill is owned and managed by our mother, and children of the Fernández Ortiz family. Along with the help of our valuable staff, we continue the tradition of producing Extra Virgin Olive Oil of superior quality. 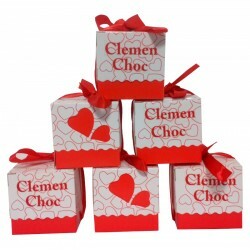 Clemen is short for Clemencia, our mother´s name, and translates to clemency or mercy in English. 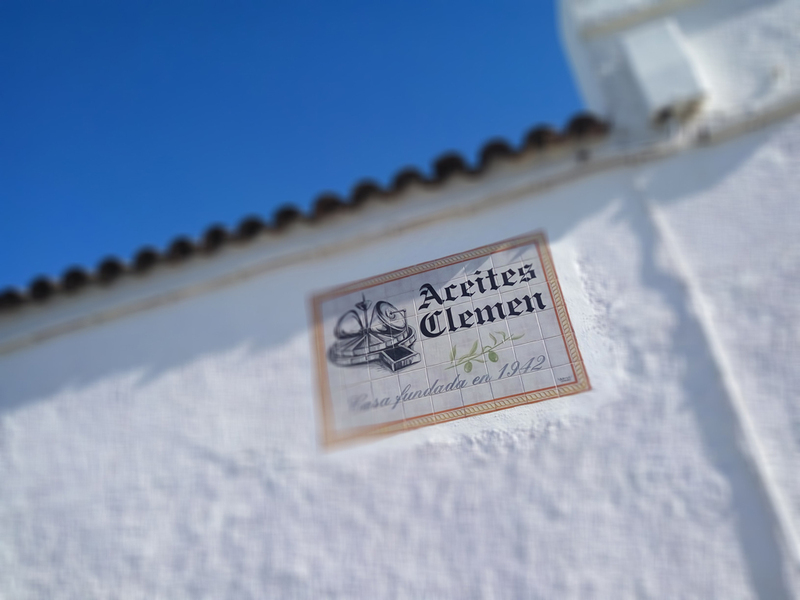 When in Badajoz, the name is immediately associated with good olive oil by the locals. The brand was first registered in Spain in the 1970´s, and in 2000 as a trademark in the European Union. 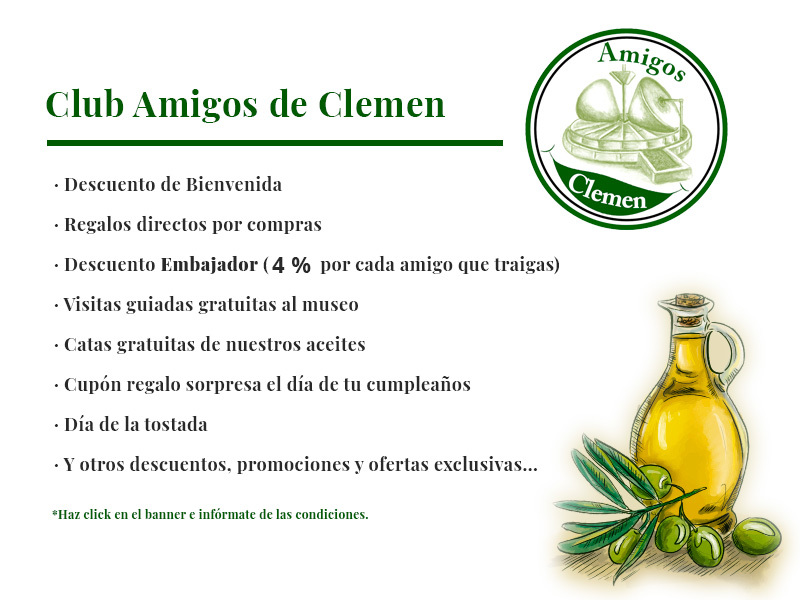 Clemen is a producer of handcrafted, socially and environmentally responsible artisan Extra Virgin Olive Oil. All of our workers are from the area, reducing the carbon impact of their journey to our mill. 100% of the olives used to make our olive oil is grown within a 20 km radius of the mill. More than a 50% of our packaging material is supplied by manufacturers in the province of Badajoz, where we are located. The major byproduct of olive oil production, alperujo, is taken to an extractor located less than 10km from the mill, and used in the production of other goods. Industrial waste water resulting from the production process is collected and used to irrigate our own lands. No waste water is fed back into the water supply, or dumped into natural water sources. Leaves collected during the olive cleaning process, is used as feed by the local cattle and sheep farmers. We are continually investigating possibilities of reusing our secondary waste. 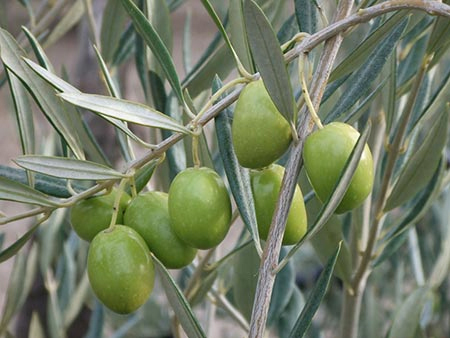 This olive is native to the Badajoz regions of Extremadura, where we are based. The name is derived from the similarity of the fruit to a small, green apple. The olive tree also has a holm oak shape, commonly referred to as “carrasco”, hence carrasqueña. More than 60% of the olives used in our production is from this varietal, from where the extraordinary taste of our oil is derived. The majority of our products are proudly hand crafted, making use of minimal and only essential automated machinery. All bottling, labeling and packaging is done by hand. Our chocolate filled with olive oil crème is made in a local bakery. 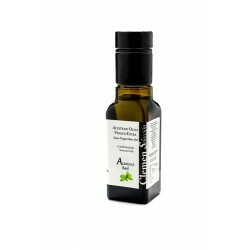 Our infused olive oil is hand prepared with herbs and peels, that are themselves hand processed. Filtering and bottling is done by hand, ensuring a completely natural product. Para conmemorar San Valentín, se presenta un nuevo formato con decoración especial para este día. 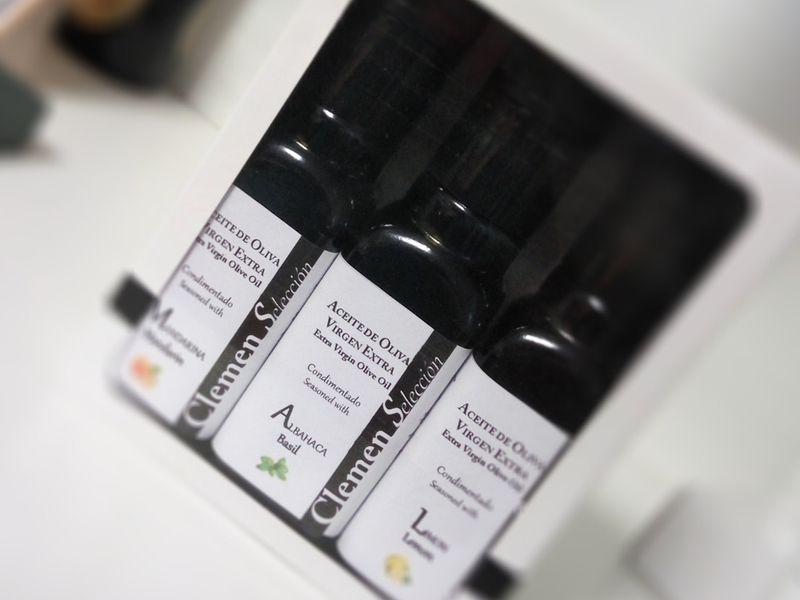 Estos bombones son fabricados de manera totalmente artesanal con aceite de oliva virgen extra de gran calidad. Los bombones se presentan envueltos en papel metálico gofrado de seis colores diferentes, según cada tipo y en una caja con motivos románticos, en cada caja van 4 sabores al azar por parejas.